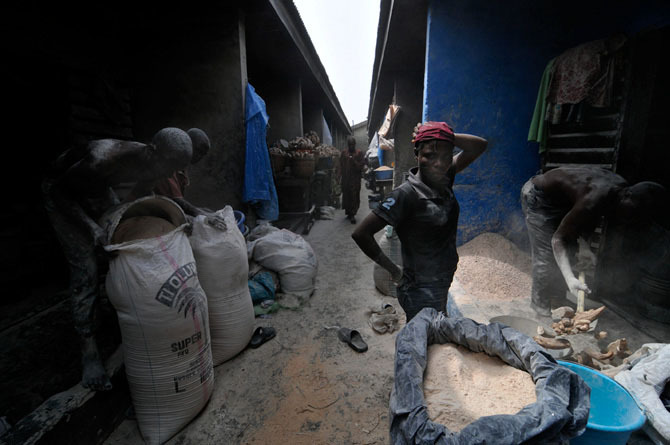 Funmilayo Omotosho cooks food in the rubble of the Ajelogo market in Lagos, Nigeria. In the early morning hours of March 7, 2010, for reasons it has not made public, the Lagos State government ordered the demolition of the market, displacing more than 10,000 residents and vendors. Some of the residents and vendors who were displaced from the Ajelogo market still live amidst its ruins. A mother bathes her child in the rubble of the Ajelogo market. 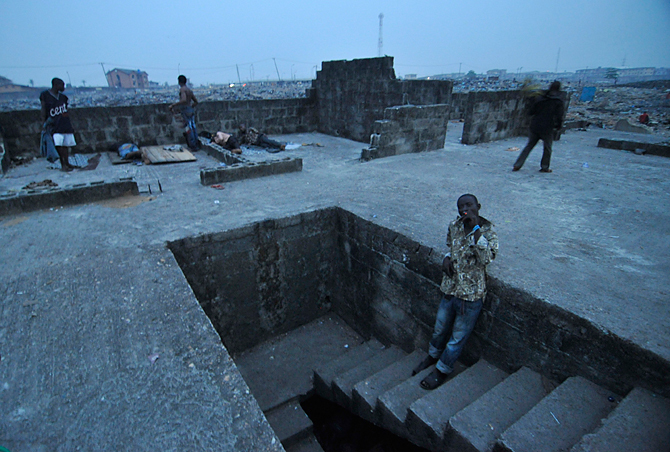 Lagos is one of the world's fastest growing megacities - a sprawling conurbation of between eight and 18 million people, depending on which Nigerian government document one consults. According to the United Nations, more people around the world now live in cities than in rural areas. Rapid, some would say explosive, urbanization is a global problem that begets its own problems- overcrowding leads to disease, social disintegration, environmental breakdown, and poverty. 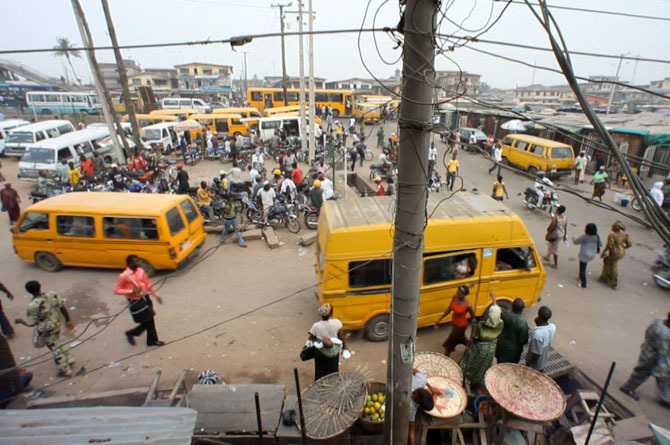 Lagos� Commissioner for Public Planning has said that 6,000 people arrive in the city every day; other sources cite 10,000 new arrivals per week. 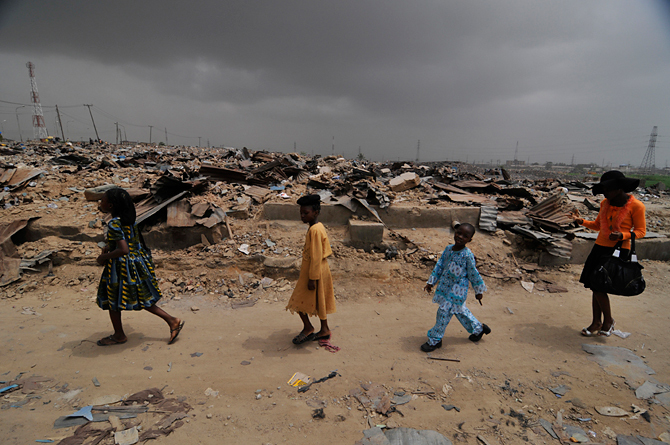 In any event, these new residents, who have likely left a place that is even more desperately poor than Lagos, face hardships that are representative of the struggles of hundreds of millions of people in cities around the world. 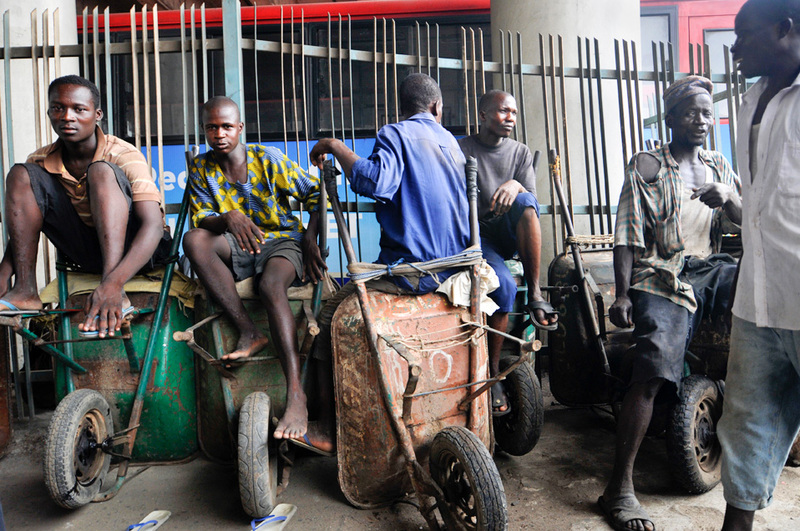 Despite Lagos' low wages and a cost of living that is among the highest in the world, people still migrate to the city in search of work and a better life. 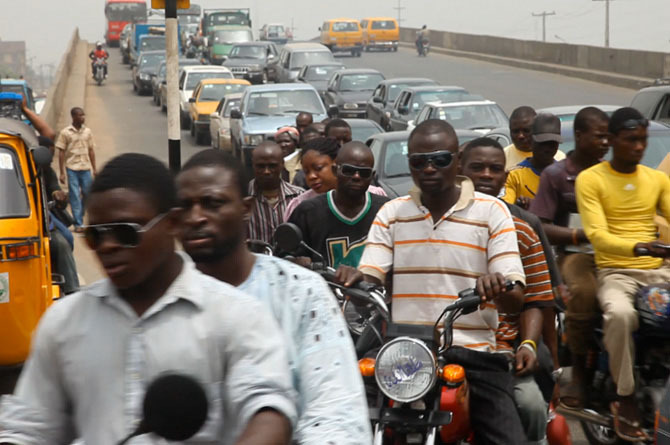 Lagos is the second most populous city in Africa, following Cairo. 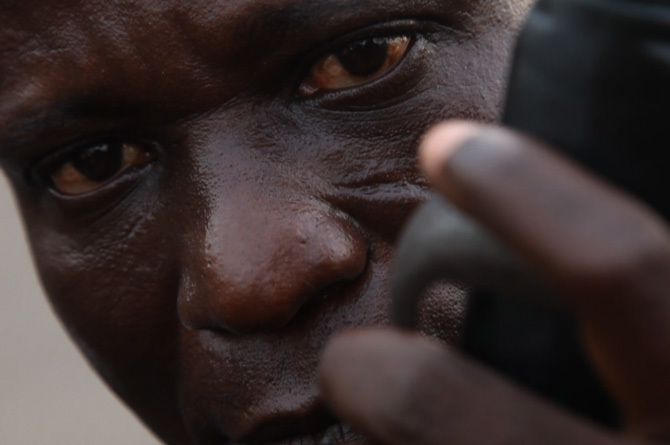 The United Nations predicts that by 2025 Lagos will be the 11th largest city in the world. 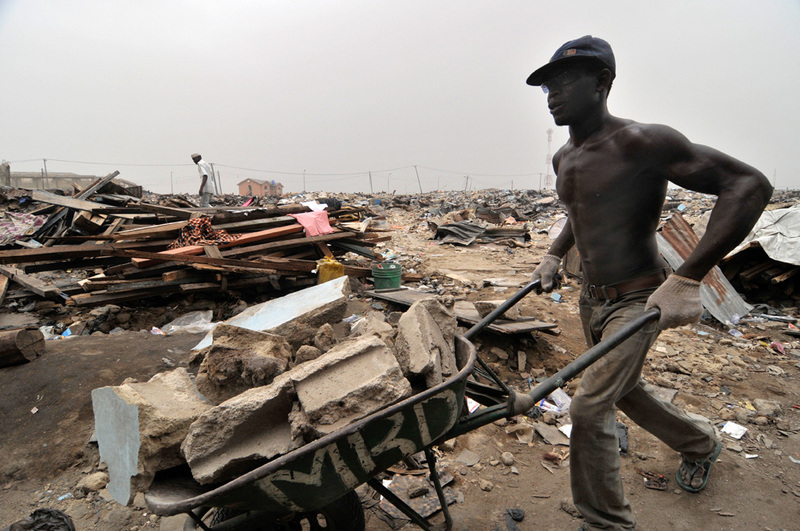 A worker removes debris from the site where the Ajelogo market stood since 1977. In addition to razing housing units, bulldozers demolished churches, mosques, pharmacies, clinics, and restaurants- all part of what the Lagos State Government called an illegal city within a city. According to the United Nations, in 2009 the number of people living in urban areas (3.42 billion) surpassed the number living in rural areas (3.41 billion). Over the next four decades, urban areas are expected to absorb all their own expected population growth while at the same time continuing to draw in rural populations. The people who lived in the Ajelogo market may be referred to in a very new way- �locally displaced people.� Around the world, competition for limited resources and adequate housing may lead urban political power structures to carry out more forcible mass evacuations. 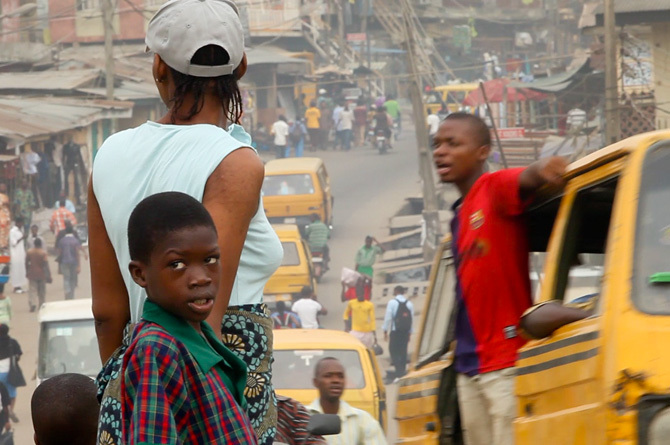 For thirteen years, Funmilayo Omotosho lived and worked in the market in Ajelogo, a neighborhood in Lagos, the largest city in Nigeria, the most populous country in Africa. 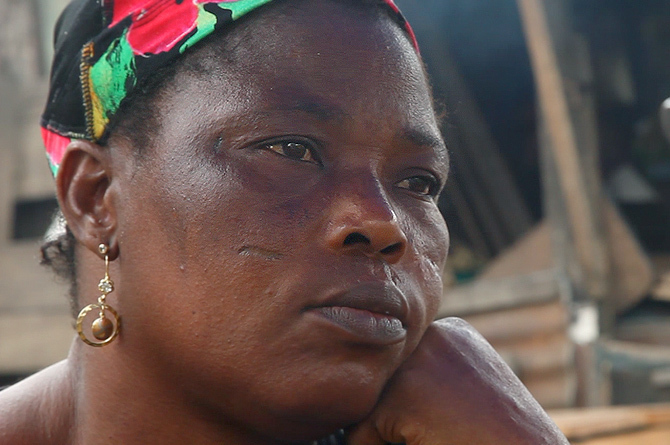 After her government demolished the market, Fumilayo's business, home, and community were left in ruins. 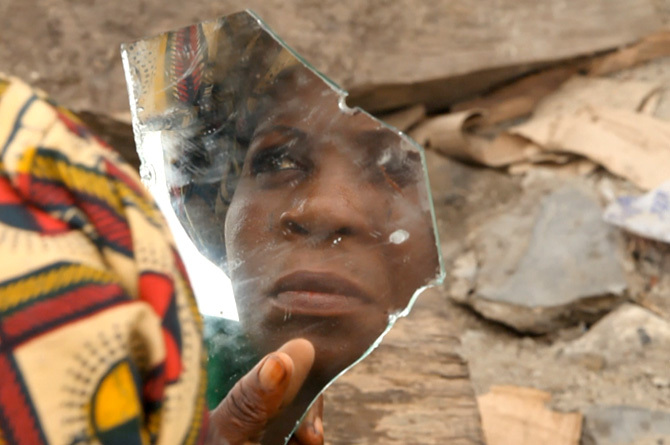 With nowhere else to go, Fumilayo still lives in Ajelogo, amidst the rubble of her home and business. Newly homeless residents of the destroyed market are awakened by loudspeakers broadcasting the morning prayer. 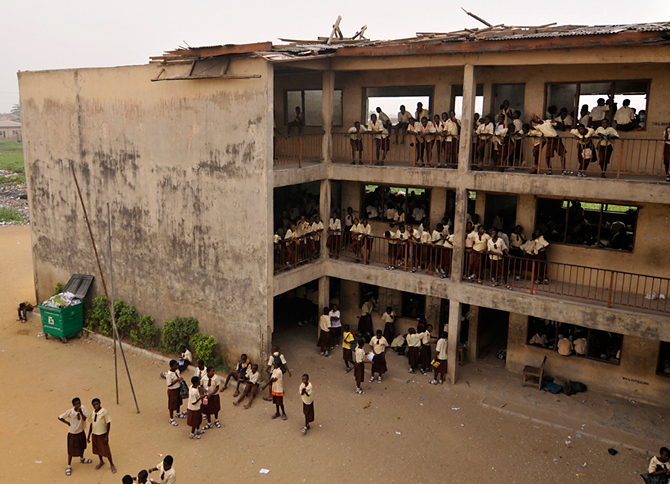 Students at a primary school adjacent to the destroyed Ajelogo market in Lagos, Nigeria. A family gets caught in a rain storm on their way to church in the Ajelogo market in Lagos, Nigeria. 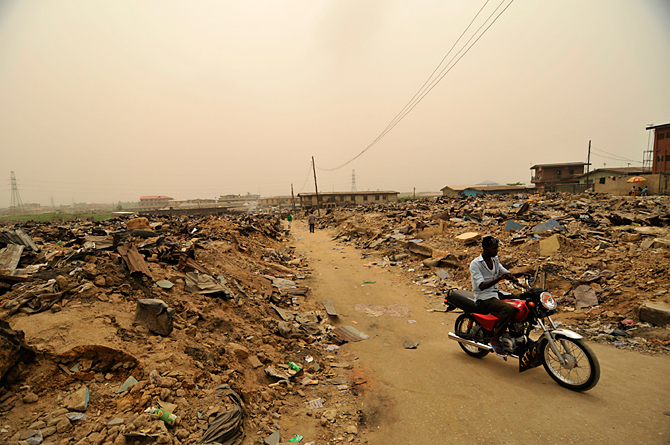 A motorcycle taxi driver leaves the ruins of the demolished Ajelogo market in Lagos, Nigeria. 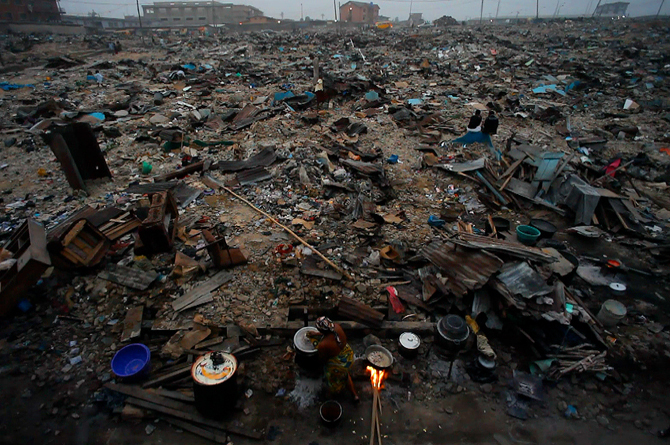 For 13 years, Fumilayo Omotosho lived and worked in a market in Ajelogo, a neighborhood in Lagos, Nigeria. 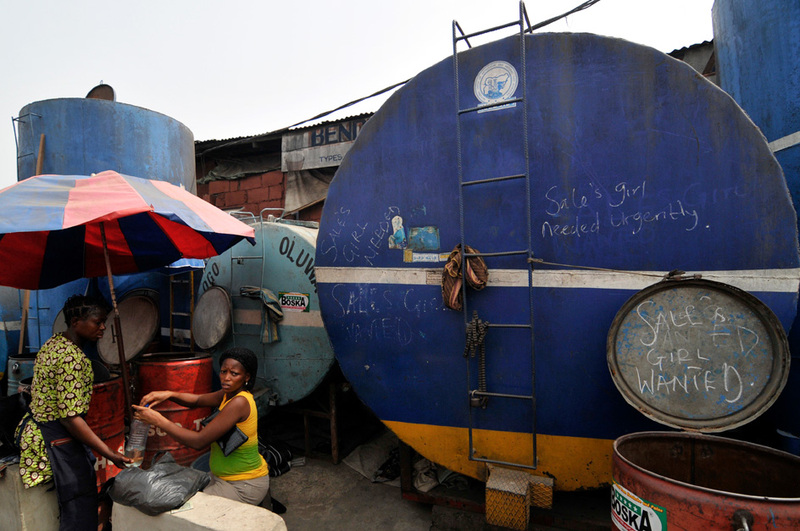 In the early morning hours of March 7, 2010, for reasons it has not made public, the Lagos State Government ordered the demolition of the Ajelogo market, displacing its more than 10,000 residents and vendors. With her business, home, and community in ruins, and with nowhere else to go, Fumilayo still lives in Ajelogo, amidst the ruins of her home and business.